Demand Seward location near Milwaukee Avenue & walkable to restaurants and transit. Creative living space feels like living in a treehouse. Upper floor features natural wood ceilings, skylights, open floorplan for living, dining and kitchen. It opens up to a terrific treetop deck. Main floor features three bedrooms and a full bath. The finished lower level has a light, bright family room, 4th bedroom, and 3/4 bath with laundry. Newer LP siding, Oversized two car garage. Directions: Franklin Avenue East to 24th Avenue S. South on 24th to home. I was searching for a Property and found this listing (MLS #5143196). 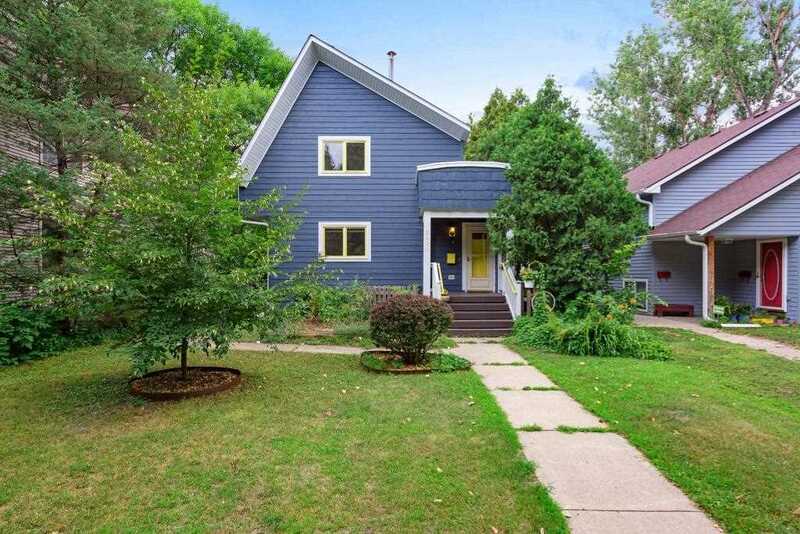 I would like to schedule a showing for 2100 24th Avenue S Minneapolis, MN 55406. Thank you! I was searching for a Property and found this listing (MLS #5143196). Please send me more information regarding 2100 24th Avenue S Minneapolis, MN 55406. Thank you! MLS® 5143196: This property at 2100 24th Avenue S, Minneapolis, MN 55406 is located in the Seward subdivision and is listed for $399,900. MLS® 5143196 has been on the market for 77 days.